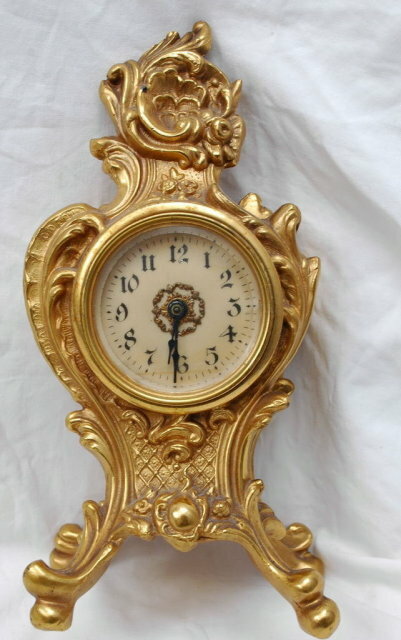 Art Nouveau Metal Boudoir Clock 1914. It is very ornate with a thick crystal. On the back is is marked USA. 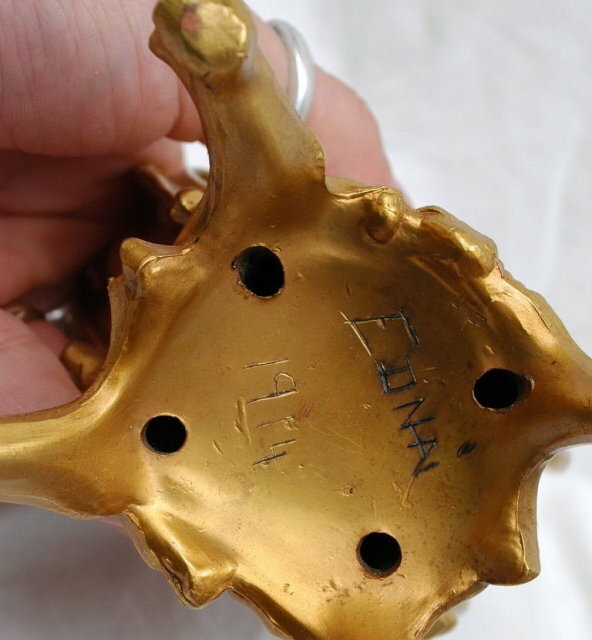 On the bottom the orginal owner scratch in thier name and the date 1914. Although it could be older that this. 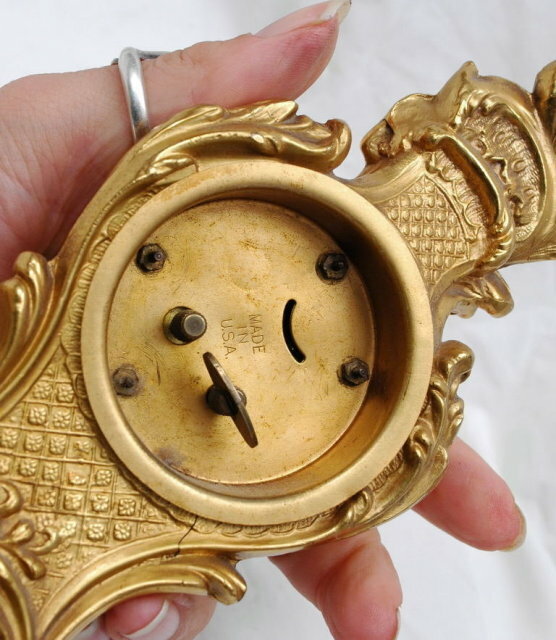 The clock works fine and runs for 48 hours before needing to be re-wound. Items Similar To "Art Nouveau Metal Boudoir Clock 1914"
63.5990 Pair of Silver Art Nouveau Candelabra by WMF.